You must make reservations at least 5 minutes in advance of the time at Bazille - Nordstrom Stonebriar. This full-service restaurant with a casually sophisticated atmosphere features bistro cuisine and a full bar. Enjoy fresh salads, specialty entrées, signature cocktails, a wine list and housemade desserts. Bazille restaurant is located on the 2nd floor of Nordstrom next to the At Home Department at the Stonebriar Mall in Frisco. We are a full service restaurant with a full bar. This is probably my favorite local restaurant since we moved to TX in the summer of 2017. 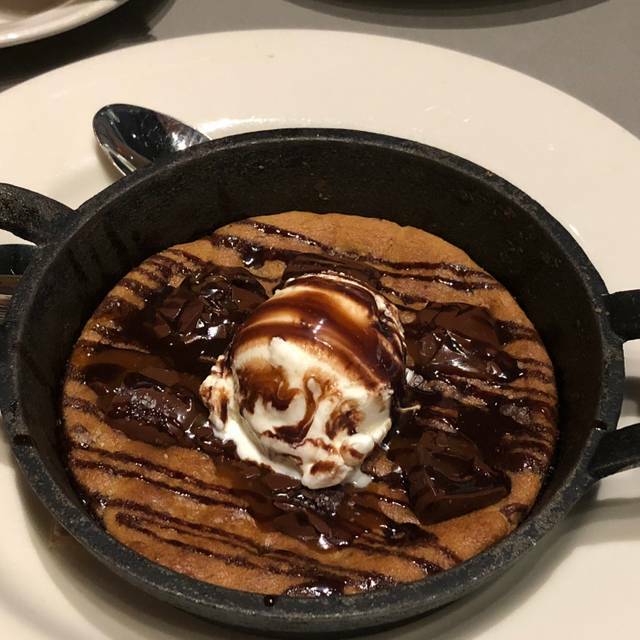 When I lived in Torrance, CA, I would go to the one that opened in the Nordstrom at the Del Amo Shopping Center, so I was really happy when Bazille opened in Nordstrom at Stonebriar. Everything I have ever ordered on the menu was great and the service is friendly. I love the music that's played in the restaurant. It's never crowded, and I love it that way! Service, food, cocktails and atmosphere were all excellent! Our second visit to Bazille. There will be at least a third in the future. great service!! really on top of filling up waters. First time eating here. The service and food were excellent. We had the pork chop and steak frites. Both were very, very good. Will definitely be coming back. The service and food were both high quality. We will definitely go there again! As always, the food was great and the service was impeccable! Delicious! And excellent nordstrom service as always! Our server was pleasant, polite, and professional. Very attentive without being annoying. My friend and I ordered the tomatillo soup which was outstanding! We both said we would come back just to have a bowl instead of a cup of that soup again. Delicious. I ordered a salad with shrimp and the smell of the shrimp was so strong and pungent I had to send it back. They graciously and without question made me a new salad with avocado and grilled chicken that was wonderful. My friend had a sandwich with pimiento spread that she said was different and very good. I would give 5 stars if not for the shrimp issue. Again they took care of it immediately. i would definitely go back. Great menu and nice, quiet break from shopping. The food is always excellent! 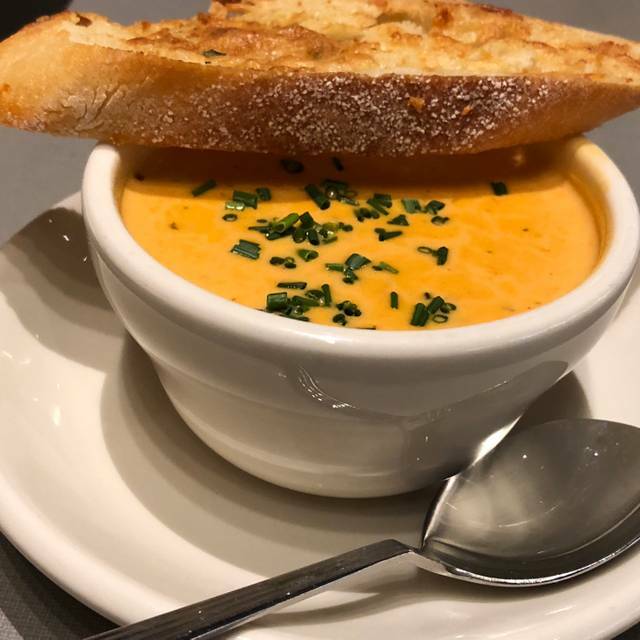 The crab bisque is perfect for a cold day. Good food and service - but a bit odd to be dining in the middle of a Nordstrom Ladies wear - did not realize that’s where we would be when I made the reservation. Had a wonderful dining experience here! Service was excellent and attentive! Can't wait to come back! Great food and fantastic customer service! The food and drinks were excellent and they have a great happy hour as well! I don't think many people consider this place for dinner bc it is in a Nordstrom, and that is a shame, bc they do a good job in the kitchen here! Unfortunately it is only open til 9. Appetizers were great, entrees were great, even my teenage kids ate everything. Drinks were very tasty as well! I won’t return. Dallas location is much better. Bazille has great salads and always very fresh food. The avocado, crab salad is crazy good but so is the cilantro shrimp salad. Drinks are fun-Cucumber Basil drink is very refreshing! You cant go wrong at Bazille if you are at Stonebriar and for Nordy people they take the Nordstrom card!!! Food was exceptional as always! Always my favorite place to dine and so happy this Nordstrom Finally added a restaurant like other locations. I HATE mall food and love being able to enjoy a nice meal thats healthy for me and my kids!!! Service and food always amazing!! Hidden gem at Stonebriar Centre. Can't wait to see more on the menu. Excellent! Great food! Great food options! Reasonable prices! Very fresh! Waitstaff very friendly! Will return! 20$ bottles of wine AND champagne! Nick feuillet, 20$. Food was great, dessert was great. Cocktails were good but need tweaking. Ordered a whiskey cocktail with ginger syrup or ginger beer, not sure, but ginger overwhelmed any whiskey flavor. Half price special on bottles of wine—actually any bottle was $20 and that’s a steal! Food was excellent-had the sprouts and the Asian salad! Yum! Will be back! So delicious, one of the best meals we have had and the price was great! Definitely has become my "go to" place for weekend lunch or casual dinner ... Excellent menu with nice selection at quite reasonable pricing ... Food quality far above the price point ... Service always outstanding in the Nordstrom tradition ... Chicken tacos and French Dip are particularly noteworthy ... Nice atmosphere as well with music at a low level (you can actually talk!) ... Highly recommended. Lunch with a friend was fantastic! Food, service and ambiance was excellent. We always have the Cilantro Lime Shrimp Salad which is exceptional. Great food and great service. Way more than I expected from a restaurant inside a store! The restaurant is beautiful and very warm. The portions were large and the food was very good (try the crab bisque), but service was terrible. We waited 10 minutes for a server to greet us and take our order. He then disappeared. Our soup came, brought by another server. We had to ask him for our beverages and an extra spoon for the soup. Then we waited quite awhile for our food and had to ask for water refills. Then we waited for our check. Then we waited to settle our check. At the prices they charge I would expect much better service. Delicious!! The wait staff are great!! We will be back! Great service, attentive and informed. Gave lots of samples since restaurant was new. Great experience. Will return. Loved that nutritional information was included in menu, and I could make smart, delicious choices. Excellent crab bisque as well as creative salads and best french dip sandwich I've had in a long time ... Wonderful menu and prices fairly reasonable ... Service outstanding in the Nordstrom's tradition ... All in all a great addition to the Frisco dining scene ... Definitely will be one of my go-to places. Excellent food, well prepared, and served by a knowledgeable and friendly staff! We had a very good meal with very good service, nice to have a Bezille in Frisco.